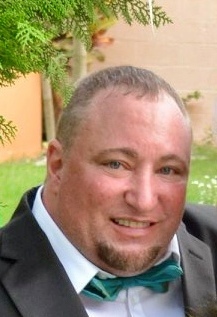 Nicholas L. Branz, 49, passed away on January 18, 2018, in his home due to natural causes. Nick was born March 4, 1969, to John M. Branz and Pennie M. Branz in Ogden, UT. Nick graduated from Ogden High School with the class of 1987. Nick later attended Weber State University and Ogden Weber Technology College pursuing a software technology degree. Nick married Zobeida Jiminez Flores in the Dominican Republic on July 4. 2018. Although their union was cut short, their time spent together was worth a million years. Nick and Zobeida’s love for one another was like none other. Nick is survived by his wife Zobeida Jiminez Branz; stepchildren Yenifer Rivera, Rafael Rivera, and Albert Rivera; mother Pennie Branz;, sister Jeannie Branz; niece Kaitlynn Branz; and one grandchild Tahany Rivera. Nick is preceded in death by his father John M. Branz. A private ceremony has been held with Nick's family and friends. We want to thank those who have been with us for their love and support.